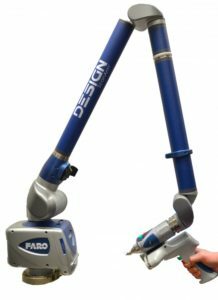 The Design ScanArmFARO® 1.0 is the first Design arm created. It is a portable 3D scanning solution tailored for 3D modeling, reverse engineering, and CAD-based design applications across the product lifecycle management (PLM) process. verify design intent of prototype products. 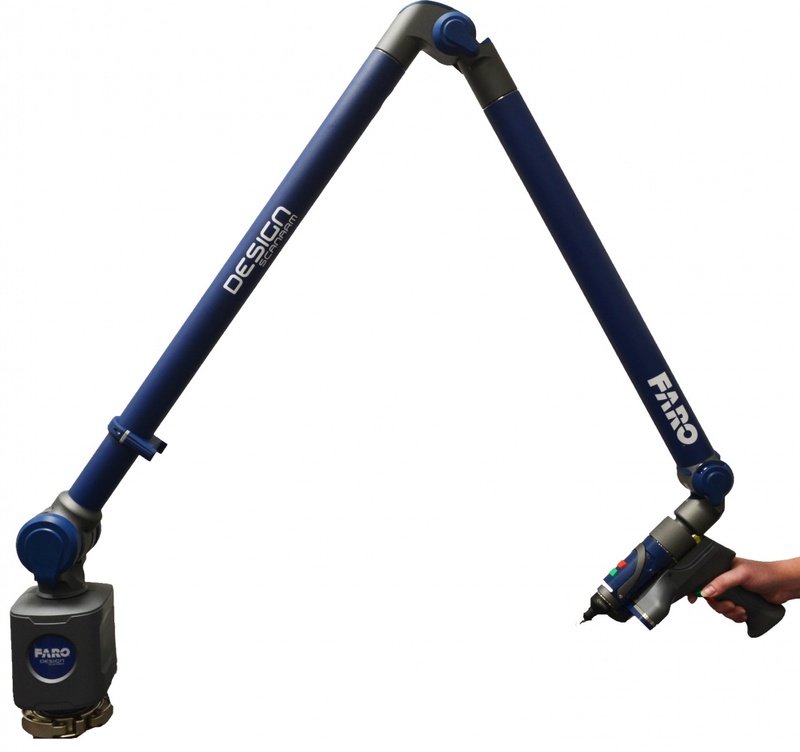 The Design ScanArmFARO® 2.0 is the latest Design arm. It enables a new level of efficiency with integration of a kinematic intelligent probe system for projects that require contact measurement. This system includes a toolless quick release for fast connect/disconnect and allows operators to quickly transition from contact to non-contact projects without needing to spend any significant additional time and effort to switch out or recalibrate probes. The Design ScanArm is the ideal solution for any organization that may have the need to manufacture parts without existing CAD models, develop aftermarket products that need to fit tightly with existing products, reverse engineer legacy parts for design changes or replacement, create digital libraries to decrease inventory and warehouse costs, design aesthetically pleasing, freeform surfaces, or leverage the power of rapid prototyping. Features optically-superior blue laser technology to capture highly-detailed and noise-free scan data. An extra wide scan stripe and fast frame rate provides expanded laser coverage for fast point cloud capture. Built for convenient desktop use in the design studio or engineering lab. Advanced software algorithms enable seamless scanning across challenging materials regardless of contrast, reflectivity, or part complexity. Designed for easy operation regardless of skill level or 3D scanning experience. Utilise both high-resolution 3D scanning and high-precision probing of basic geometry. The new Design ScanArmFARO® 2.0 delivers up to 25% improved system accuracy compared to the previous generation. 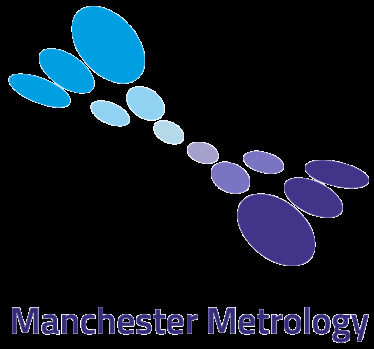 Design and product engineering professionals can now have increased confidence that the real-world design output conforms even more tightly to the look, feel and complex geometry of the source object. Furthermore, productivity is enhanced with the addition of FARO Blu™ Laser Line Probe HD that incorporates advanced blue laser technology and rapid scanning of up to 600,000 points per second. Users can now bring the scan to the project rather than needing to bring the project to the scan. Features a highly accurate capturing of complex geometric products, objects and prototypes for confident real world data output of computer aided designs. Quickly connect/disconnect iprobes without recalibrating for any contact measurement routine.